August 29, 2018 - By OTC Team! 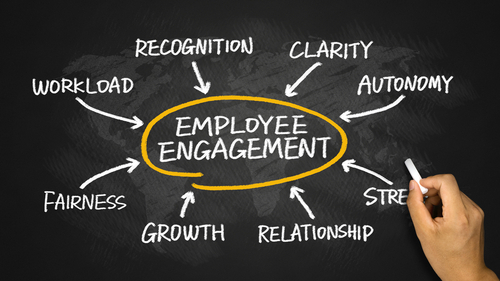 As an employer, you should worry about how engaged your employees are. Employee engagement is a good metric for determining such things as how willing your staff are to stick around to help your organization achieve its goals. While employee engagement doesn’t measure the happiness or satisfaction of employees, it does measure how enthusiastic and motivated people are about their job. It also reflects how connected they are to the overall structures and processes that make up your organization. Following these explanations, you’d assume – and rightly so – that employee engagement does have a role to play in determining the productivity levels within your organization. Therefore, if your aim is to stand out as a business by being adaptable and efficient, you must keep the vast majority of your employees engaged. This article will walk you through 20 statistics about employee engagement so as to present facts as is, and show you implications and what to do. 1) Almost 25% of millennials have worked for 5 different employers. This statistic hints at the commonplace stereotype that millennial employees lack loyalty and so are quick to job-hop. Indeed, retaining millennial workers is not a walk in the park; millennial employees are, for several reasons, quick to weigh their options and jump ship. What’s more, you won’t be wrong to assume that a lack of proper engagement is a reason for this. Among the surveyed millennials who worked at 5-7 organizations, 34% claim they didn’t trust their manager enough, 48% said their organization thought only about profits, while 31% said their organizations didn’t set goals. If anything, these revelations indicate a low level of connection between millennials and their respective organization and explains the reason for the lack of loyalty. Here, we talked about how to cater to millennial employees. Here Daniel Pink Talks about employee engagement, external and internal motivators. 2) Organizations with high employee engagement outperform those with low employee engagement by 202%. This statistic is worth taking note of. It shows that, come what may, employee engagement will remain one of those factors that differentiate successful companies from less successful ones. Too often, people link failures in business to unpredictable external pressures; meanwhile, evidences such as this statistic prove that failures can arise from the inability of organizations to put their house in order. To grow with the organization, your employees need to be engaged. 3) Belief in senior leadership is the strongest engagement driver, with growth and development as the second. How important are senior executives in steering engagement? Very important – at least if this statistic is anything to go by. Seemingly, the perceptions of employees about the management of an organization determines how engaged they will be. Leaders need to provide the basis for employees to actually believe in them and to trust their decisions. No one wants to be in a ship that’s being steered by a seemingly incompetent captain. This should make enough sense. What’s more, the statistic helps to highlight growth and development as crucial endearments. Need people to stay with you? Give them enough room to harness their potentials and grow with your organization. 4) 65% of employees older than 55 said they’d sooner sign a contract with remote work options. Remote work is becoming the new cool. For reasons such as flexibility and convenience, more and more companies are starting to look towards remote work – thanks to technological advancements, too. It’s already been established that millennial workers’ love flexibility and many think remote working is beneficial. But not only millennials are thinking towards this direction. As it turns out, people from the older generation are starting to see the potentials of remote work. And this proves that the whole idea of working remotely as come to stay. Thus, people are more likely to stick with an organization that offers them remote work options. Will remote work facilitate engagement, then? You bet. 5) 43% of highly engaged employees receive feedback at least once in a week, while only 18% of employees with low engagement do. Having an efficient feedback loop is said to be one of those things that keep people in check. People do not only want to know that that their work is valued but also wish to be told the areas where they lag behind and need to improve. Setting up a feedback loop anchored on effective and empathetic communication can go a long way in ensuring that your employees feel an attachment to their respective jobs. Think about it: no one loves to be in a relationship that is devoid of communication. As an employer, you need to state clearly what you expect from your workers and give them feedback on their work. 6) 89% of employers think employees leave for money, meanwhile only 12% actually do leave for money. Money makes the world go round, right? Well, not always – at least, not with everyone. This statistic helps to show that money is not always a good enough perk. As it turns out, employees seek more in a job than monetary incentives. And this is the reason why only 12% of employees who jump ship do so because of the money. The statistic also helps to shine a light on a common misconception among employers as to why employees call it quits with them. As an employer, you should realize that there’s more to actually solving a problem than throwing money at it. Engagement is one of those things you should strengthen in order to keep your people on their toes. Granted, job-hopping cannot be totally avoided, but you bet it can be reduced. Profit is a function of sales. Thus, to earn more, you have to sell more – a no brainer, right? Right. But what isn’t a no-brainer is the fact that there’s a verified correlation between employee engagement and increase in sales. And this correlation proves strong, as an increase in engagement can shore up sales by a whopping 20%, the above statistic proves. Thus, to earn more, you have to sell more; and to sell more, you have to make employees more engaged. A chain reaction, it is. 8) 80% of employees felt more engaged when their work was consistent with the core values and mission of their organization. Allow us to paint you a picture. You’ve been employed as a Business Development Executive in a company whose business revolves around providing e-commerce businesses with transportation and logistical support. The aim of the company is to become the go-to service for businesses seeking to effectively transport goods and track their freight. As a business developer, your work is to acquire leads and maintain relationships with customers. Owing to your supposed role and the mission of the company, you’d expect that your primarily goal is to ensure that many more businesses use the service. But what if you were directed to carry out activities that contradict the mission of the business, such as drawing up contracts with the wrong type of prospective customers? Would you possibly feel a form of disconnection with the business? If so, you’re not alone -80% of employees are with you. As an employer, therefore, you must sure your employees feel their work is consistent with the purpose and goals of your business. 9) 80% of employees would work more hours and 60% would take a lower salary if their employer were more empathetic. Empathy is considered to be a key incentive for employees. Business Solver, through the Workplace Empathy Monitor, found that empathy comes in handy in boosting productivity. However, only 49% of US employees rate organizations as empathetic, while 85% believe empathy is undervalued by U.S. businesses. It was the Workplace empathy monitor that found that people won’t mind a pay cut or working more hours if empathy is thrown into the mix. This helps to further buttress our point that people seek more from their jobs than monetary incentives. Millennials were also found to be especially fond of empathy, as 80% said they’d change their jobs if their current employer ever became less empathetic. Hence, to spur engagement, be more empathetic. In simpler terms, be more humane. 10) 53% of HR professionals say employee engagement rises when onboarding is improved. Turns out the recruitment process also has a role to play in engaging employees. This proves that, as in everyday life, first impression actually matters in business. At the outset, you’ll want to sell prospective employees on why they would want to be enthusiastic about your business in the long run. 11) 70% of employees would like to spend more time with their manager. This needs only little explanation - the vast majority of employees think spending more time with their manager wouldn’t be a great idea. We also think this strategy is actually a great way to keep employees engaged as it will help to ‘humanize’ the management of an organization. In other words, people will generally feel at ease knowing that members of the management team are quite friendly and are easy to relate with. Sometimes, loyalty boils down to how well you feel at ease with the people you work with and for. 12) Only 40% of employees know about their company’s goals, strategies and tactics. We’ve stated that engagement reflects the willingness of an employee to stick around and help ensure that an organization achieve its goals. But how possible is it to ensure the achievement of a goal that people don’t even know about? Difficult, if not impossible. What you don’t feel cannot itch you, right? To ensure employee engagement, every employee must be made to come to terms with their company’s goals, visions and strategies. This will keep them in the know of what to and what not to do. The knowledge of a company’s goals will also help to galvanize commitment in the long term. Most people, we assume, will generally be glad to propel a good cause. 13) Eight out of 10 employees felt more engaged when their work was consistent with the core values and mission of their organization. This only helps to reiterate the previous point. To keep employees engaged, a first step would be to keep everyone in touch with the reality of the company’s mission and vision, as well as strategies to help in achieving actual sought goals. 14) 16% of employees said they felt “connected and engaged” by employers. A survey carried out by the Employee Channel helped to reveal this. While this doesn’t hold a useful guide on what needs to be done, it does show that there’s a huge gap between what is and what should be. Employees crave engagement, and the buck stops on the table of employers to make this happen. But as it turns out, not many employers seem to be putting in the effort. If anything, this statistic should be a cautionary one, showing how opinionated employees are about feeling connected and engaged. 15) 83% of employees with opportunities to take on new challenges say they’re more likely to stay with the organization. As previously contended, there’s more to what employees seek in jobs than what the idea of monetary incentives would have us believe. The statistic above shows that the ‘opportunity to have new opportunities’ can be a key incentive for employees to remain engaged. Most people want to be challenged and would stick to wherever provides them the opportunity to take on new challenges. Take for example, Google. Google allows its engineers to work partly on personal projects that they find interesting. This provides enough incentive for people to keep up with their jobs, as exciting new challenges are never far away. Take a cue from this. 16) Over a period of seven years, companies with more engaged workers grew revenue 2.5x as much as companies with less engaged workers. This, like a previously stated statistic, proves how there happens to be a strong correlation between employee engagement and earnings. This correlation happens to also amount to causation. This proves how many companies aren’t spoilt with employee engagement. To avoid such a problem or move away from it, you must be ready to take cues from this article. 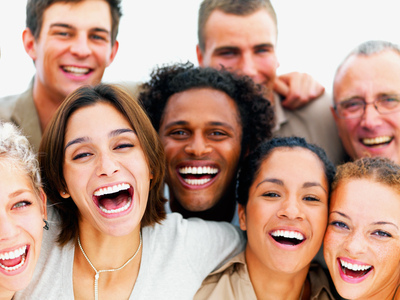 19) Increasing the employee engagement budget by 10% can increase profits by $2,400 per employee annually. The Workplace Research Foundation found that engaged employees are 38 percent more likely to have above-average productivity. Businesses actually realize the significance, and that’s why engagement spend in the U.S. to increase from $720 million to $1.5 billion. But are these businesses really getting it right? 20) 82% of employees say they would be more loyal to their employers if they had flexible work options. Again, this brings to mind the statistic that touches on how more people would be engaged if remote work options were added to the list of perks. People crave flexibility in job operations. The earlier you start putting structures in place to aid flexibility, the better for everyone.